There is no safer or more effective way to treat psoriasis build-up on the palms of the hands. 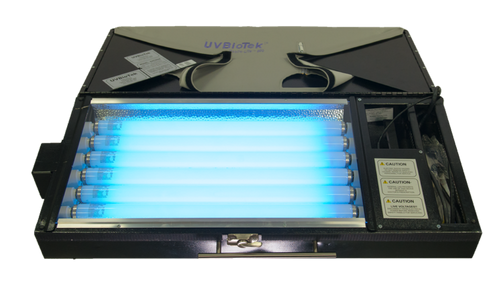 The Mobile-Lite™ can quickly be set up on any flat surface to provide the necessary treatment for the largest number of sufferers. If you have psoriasis flaring at the soles of your feet, you know how know how painful standing or walking can be. The more you can stay off your feet, the sooner you will be able to get clear again. 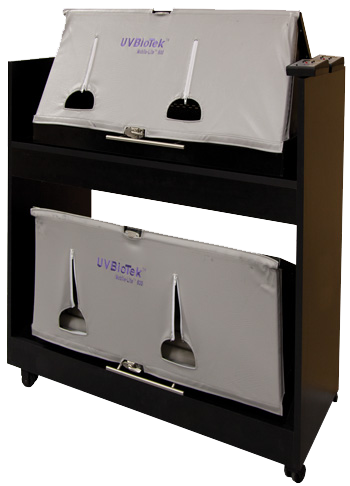 The Mobile-Lite™ sets up just as easily on the floor to treat the feet while you keep your seat. 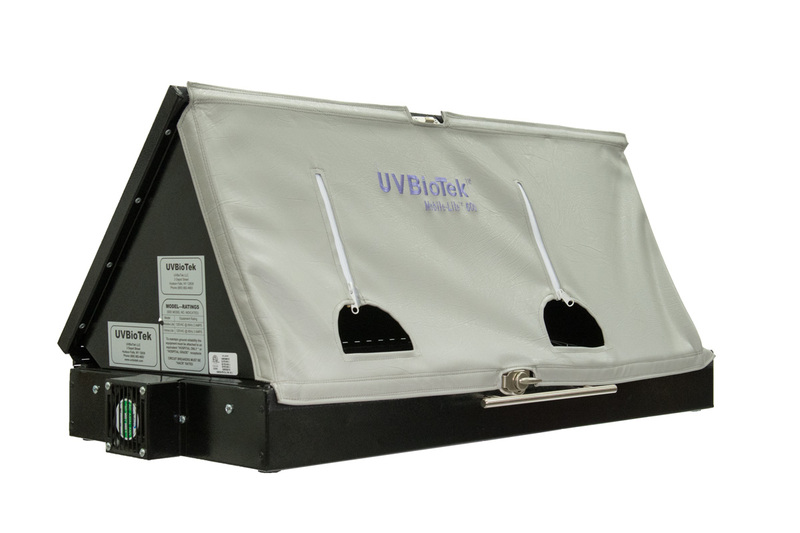 The Mobile-Lite™ is the first completely portable phototherapy system designed specifically to treat hands and/or feet. 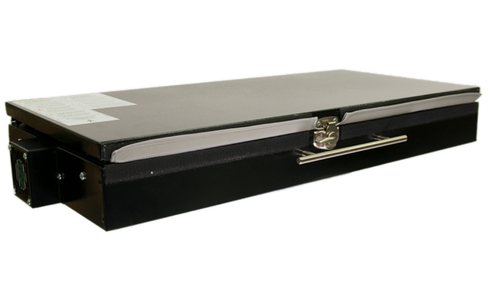 It collapses down to the size of a large briefcase, has a built-in handle, and only weighs about 40 lbs, so it can be carried wherever you go.